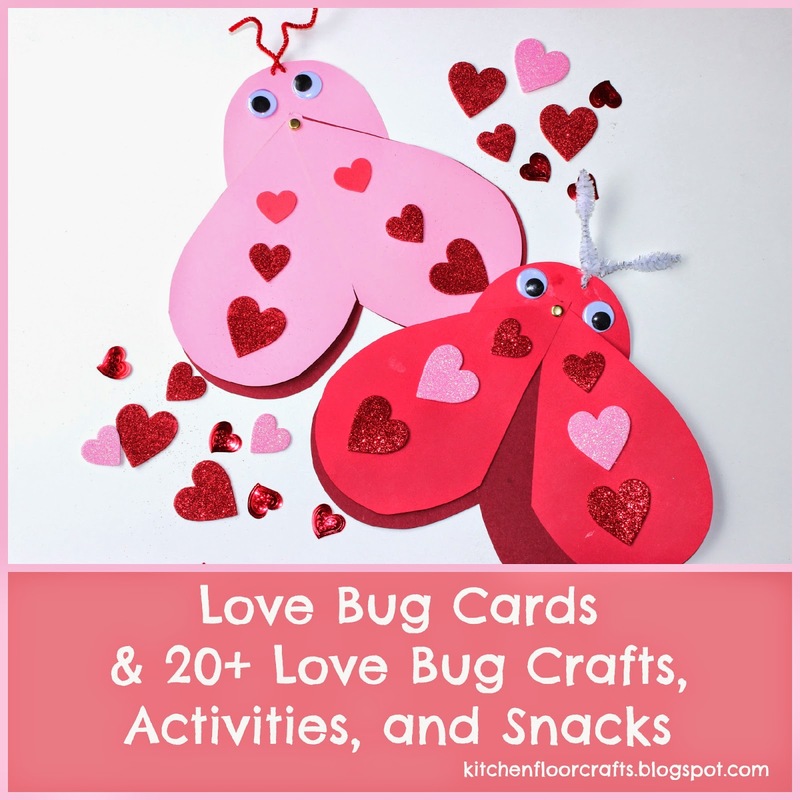 Last year we discovered the fun of creating "Love Bugs" for Valentine's Day. 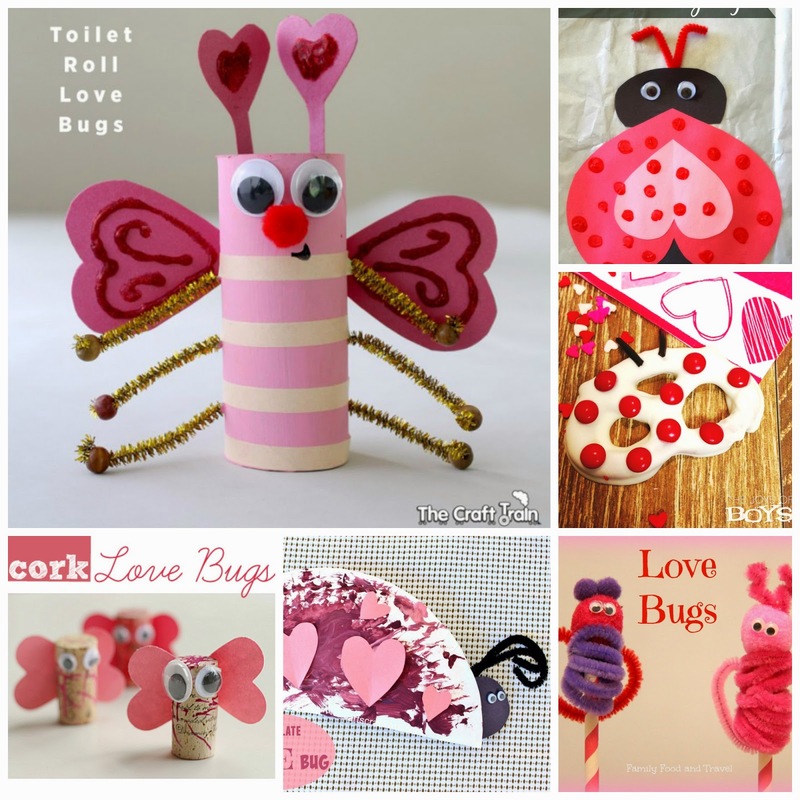 Our egg carton love bugs were simple and fun to create. 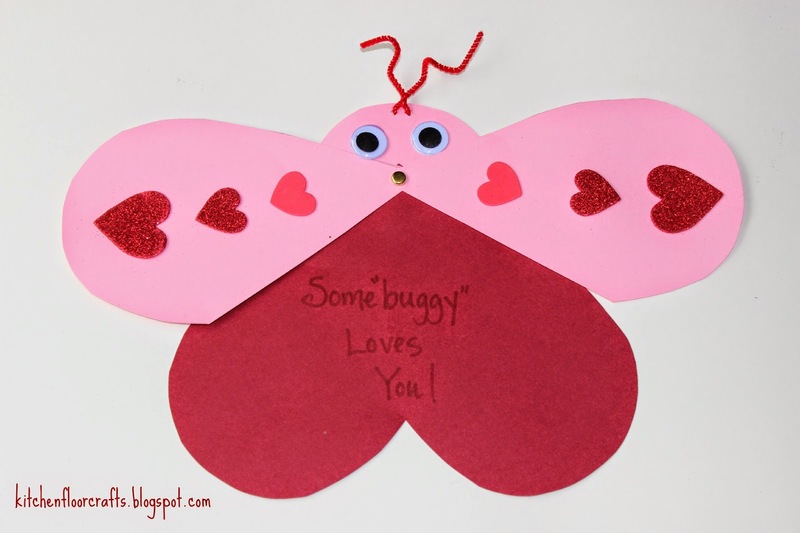 This year we decided to extend our love bug fun into an easy to create card idea. 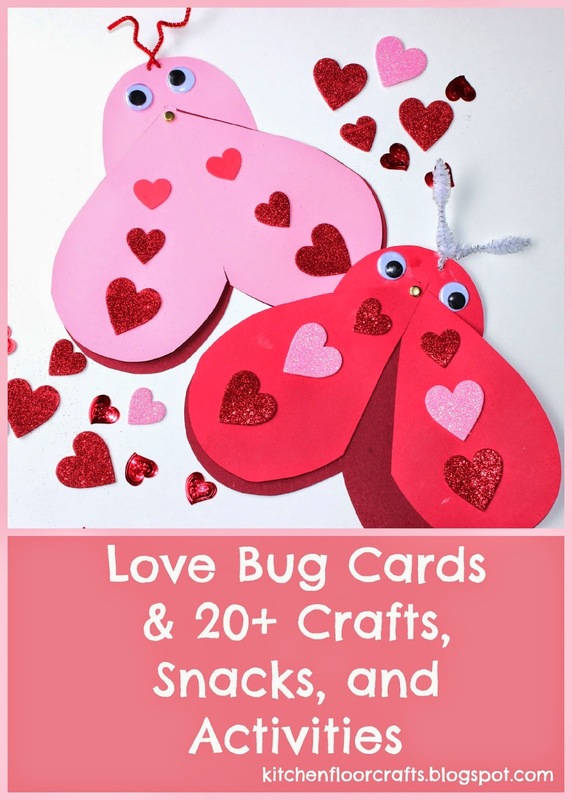 While creating we discovered lots of other great Love Bug ideas, make sure you check out the list of awesome ideas for incorporating love bugs into all elements of Valentine's Day at the end of this post. 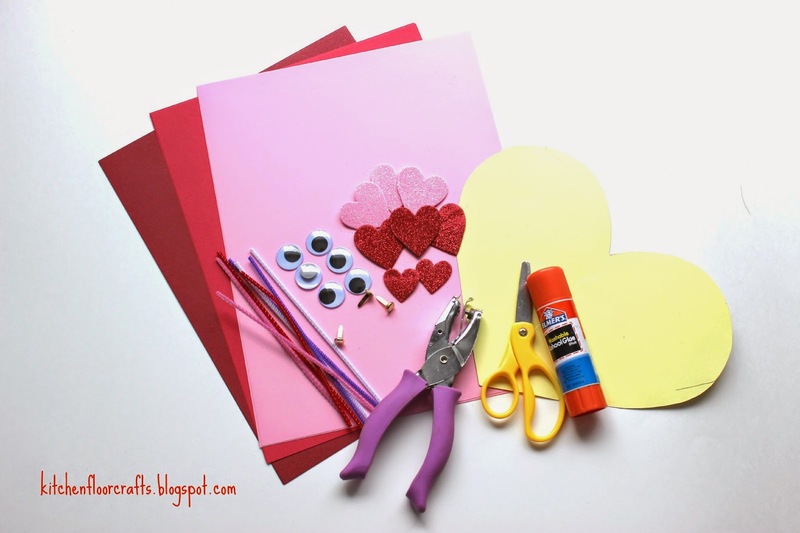 For our craft we started with red and pink card stock, pipe cleaners, googly eyes, sparkly hearts, glue stick, and brads. We also used scissors and a small hole punch. 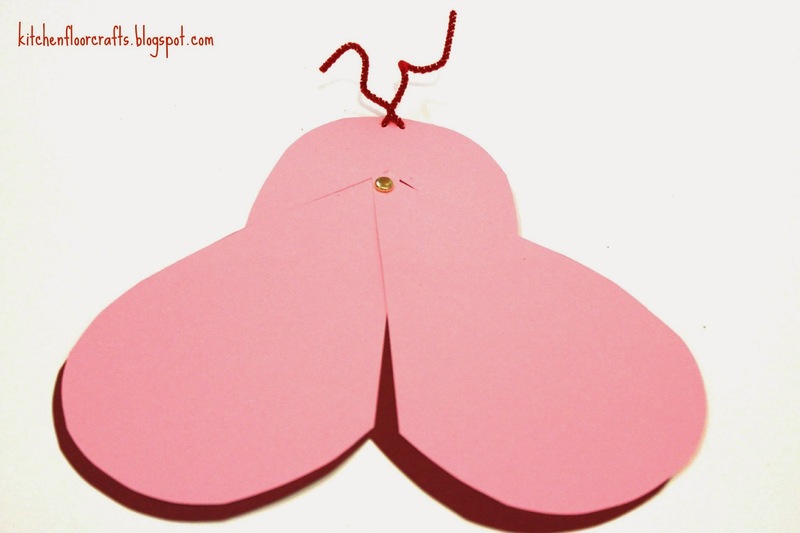 We used a heart tracer to cut out two large hearts for each bug. 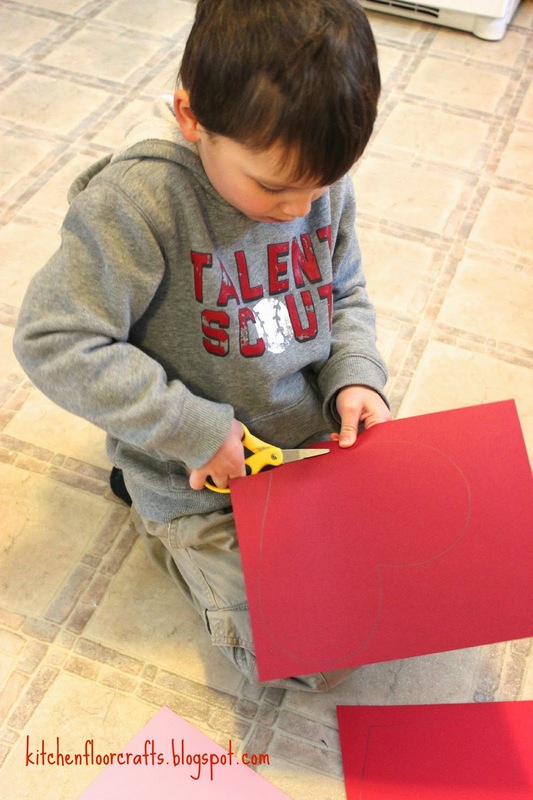 We then cut one of the hearts in half down the center line, creating two tear drop shapes. We used leftover scrap from one of the papers to cut out a half circle. 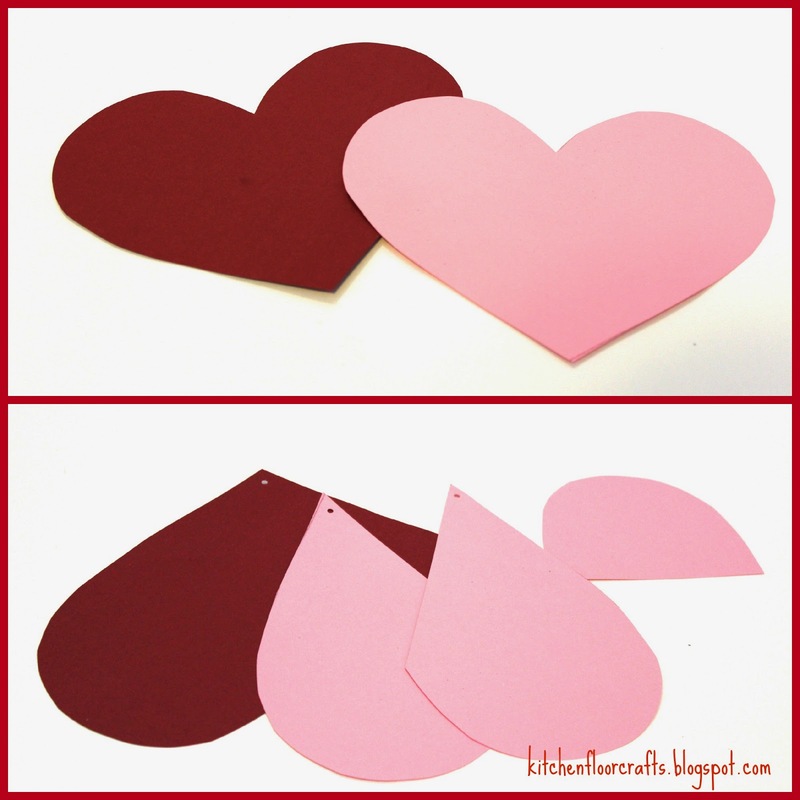 Using the small hole punch we put a hole in the point of each tear drop and a hole in the point of the whole heart. We aligned the three holes and put the brad through the three holes. The two tear drops now opened like "wings." Afterwards we glued the half circle to the backside of the three hearts to create a head. 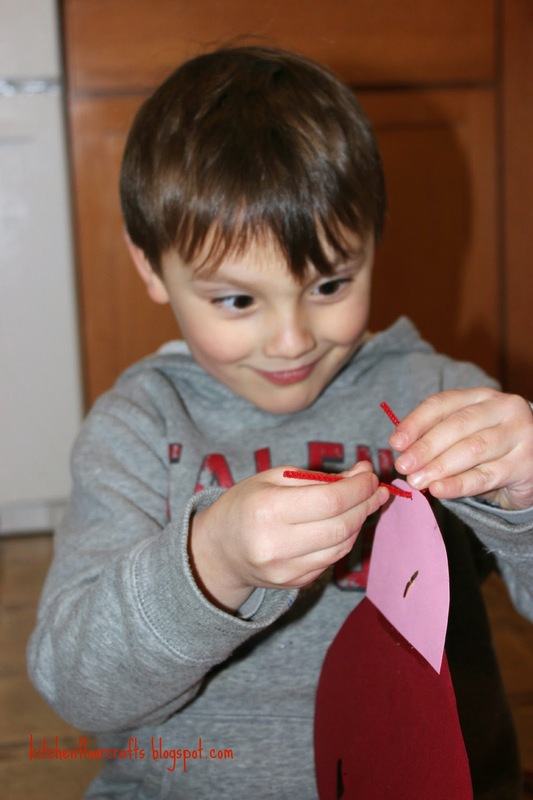 At the top of the "head" we made a small hole punch and added a pipe cleaner for antennae. Afterwards we decorated the "wings" with the sparkly hearts and glue stick. We're not the only one who loves Love Bugs. Check out these awesome ideas from other great bloggers! 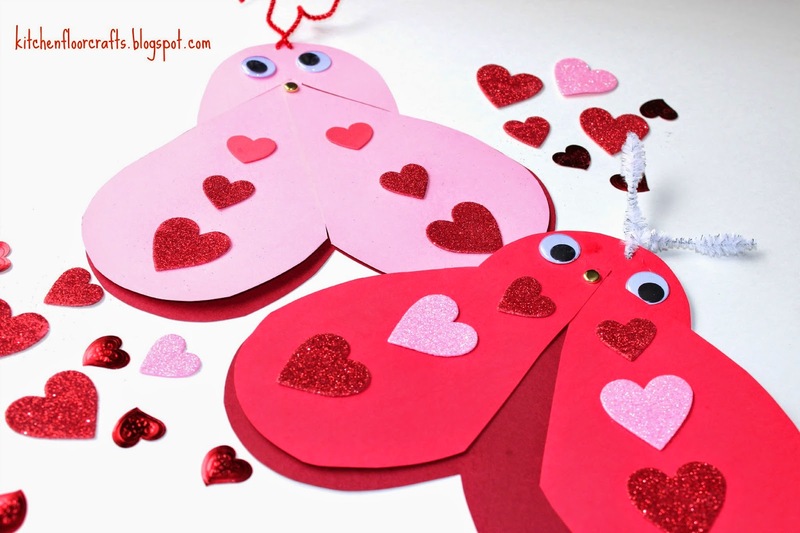 And of course, our personal favorite from last year: Egg Carton Love Bugs. 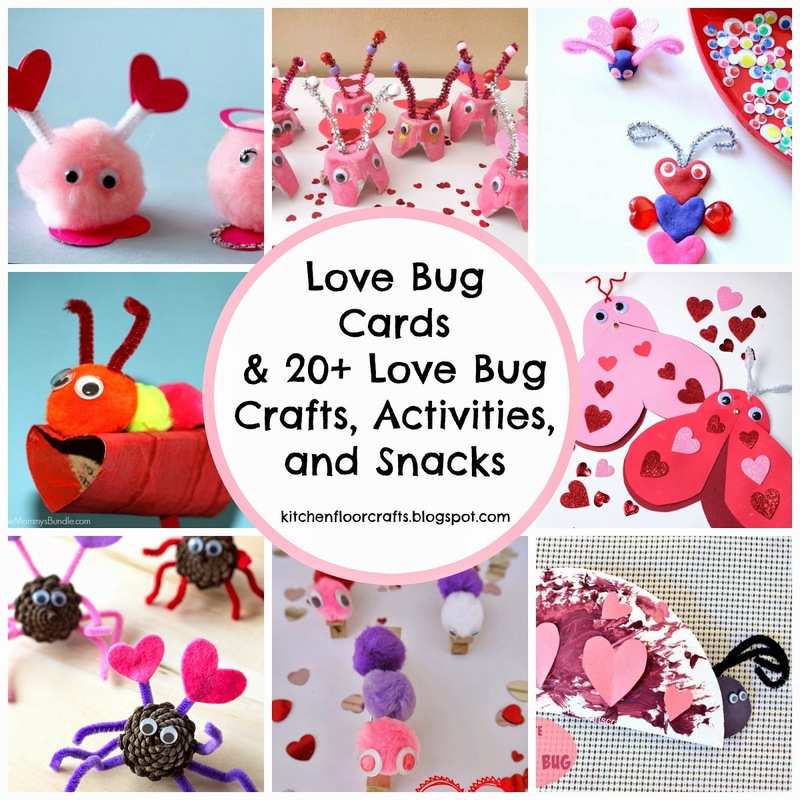 How are you looking forward to celebrating Valentine's Day for the little Love Bugs in your life? Thanks for the suggestions! These are great!